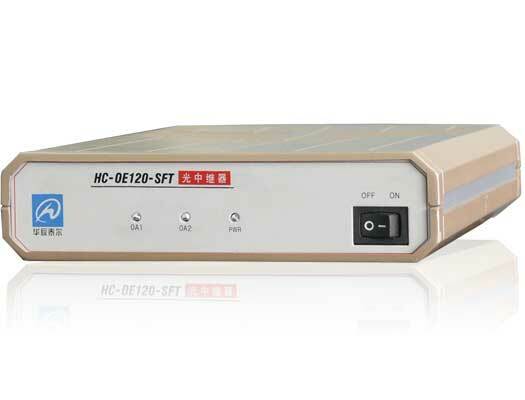 HC-OE120-SFT is the repeater device for the optical line. It has two optical interfaces, which can be changed to any type optical modular separately. It can convert optical port from single mode to multi-mode (vice versa), or extend the optical transmit distance. HC-OE120-SFT also can be use to do the loop-back between two single core optical device, it can realize the loop from itself to remote device on both sides. Provides a modular set of user, easy to installation and debugging. Extend the optical transmit distance, used in PDH or STM-1 SDH device.